Are you looking for Amtico, Karndean, Brintons, Ulster, Pergo, Cormar, Woodwood Grosvenor, Axminster and any other major flooring brands fully fitted? If you are looking to buy from a registered retailer who has been trading for over 20 years and only installs to manufacturers specification but at the lowest possible price please continue. Stones Carpets also undertake commercial work. Please Contact us to discuss your specifications with us. Please complete the quotation form to the right and we will endeavour to beat your quote – many thanks from Stones Carpets. To always give Professional and Honest advice as well as Friendly Service. To deal with any complaint or issue swiftly so as to find a fair resolution. In Summary, we strive to please every customer by providing quality flooring products and craftsmanship for every carpet installation. Call us for carpet fitting and fitted carpets advice.Whether its quality carpets or quality flooring you will find leading brands. 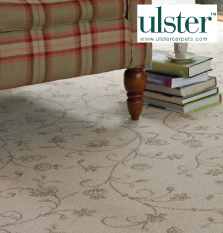 View full luxury carpet ranges in our carpet showroom based in Leigh. Our new extensive Amtico & Karndean Showroom is well worth a visit if you’re in the Greater Manchester area. Stones Carpets are within an easy driving distance of Wigan, St Helens, Warrington and Cheshire. We offer a Free estimation and design service to homes in the Northwest area. Choose from designer brands Amtico, Karndean, Brintons, Ulster, Pergo, Cormar, Woodwood Grosvenor, Axminster and other major Carpet Brands all under one roof. Our Amtico Showroom offers a huge selection of vinyl flooring. Our range offers classic Amtico to modern contemporary. So, there’s sure to be something for any room and style. We offer a range of coordinating finishing touches and borders are also available, allowing you to add a unique touch to any room.